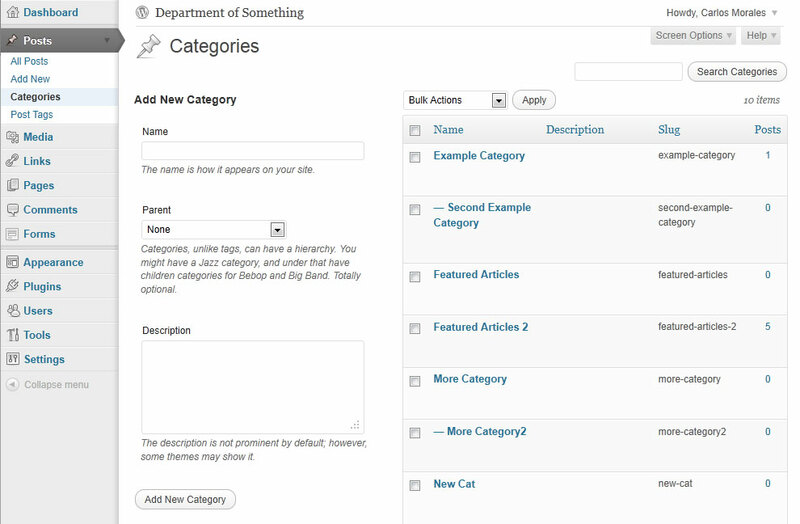 Categories and tags can be used to help organize your content. They let you group similar content, which will help your website’s visitors explore the subjects they are interested in. Categories are a way to organize your posts into similar buckets. Categories are like movie genres (comedy, horror, action) or sections in a newspaper (sports, business, local). You control what categories (if any) your website has, and which posts go into them. 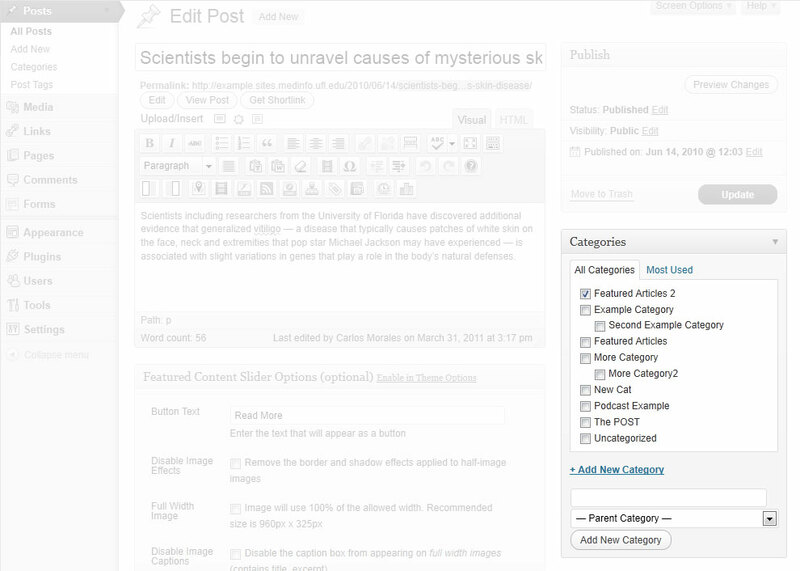 You can change what categories your posts are in at any time: even after you’ve published! To edit or add categories to your website, select "Categories" under the "Posts" section.